After a 26-day Atlantic Ocean crossing, the ship Southampton, captained by Florence Griswold’s father, Robert H. Griswold, docked at London on November 6, 1849. The Captain and his first mate immediately went about the arduous process of maintaining and provisioning the ship and securing a crew for the return voyage to New York. 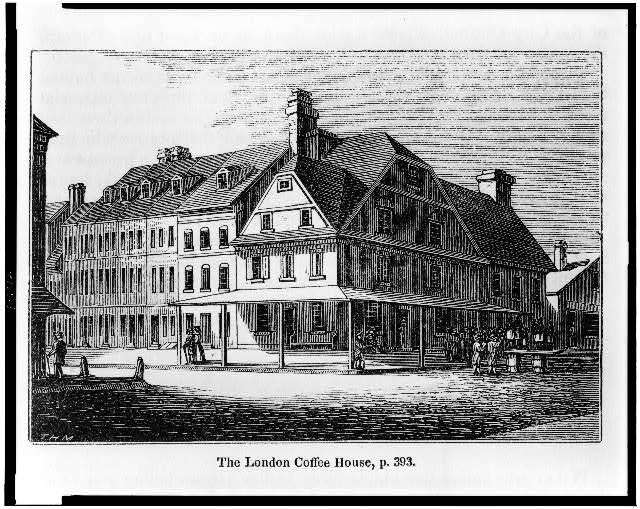 At the London Coffee House, the Captain retrieved letters sent by his wife Helen, some transported from New York to London by the faster steamship mail service. 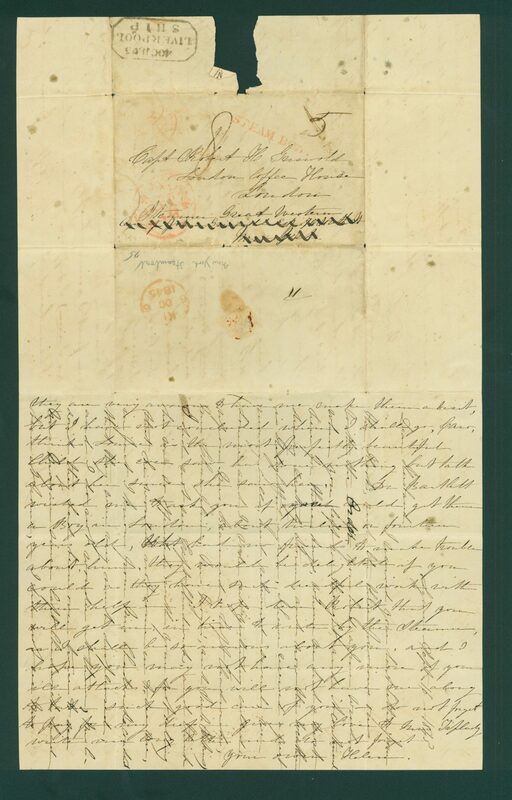 Helen’s letters relayed news from Lyme and expressed well founded concerns for his safety along with eagerness for his return. In some letters, she asked him to bring back household items and always she conveyed her loneliness. The Captain’s letters expressed his love for his wife and children and attempted to calm Helen’s fears. One notable Southampton passenger, the emerging American novelist Herman Melville, left the ship at the coastal town of Deal and traveled overland to London. His journal notes that after reclaiming his luggage at the port, he set out at a frenetic pace to arrange a publication deal with a cash advance for his book White Jacket. He saw many agents over several weeks and was finally successful in arranging a deal with Bentley’s publishing company with an advance of 200 pounds. When he was not trying to find a publisher, Melville spent his time sight-seeing with the same energy. He wrote about a brief, chance encounter with Queen Victoria and the Prince of Wales as their horse drawn carriage passed him at high speed. 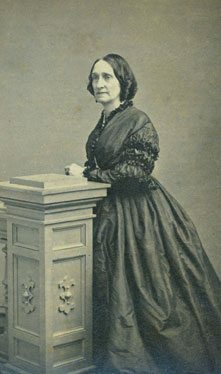 Melville described her as “an amiable domestic woman.” He bowed and she acknowledged his salute. He visited the British Museum where he saw the Rosetta Stone, there since 1802. He also had dinner with Captain Griswold and others at the London Coffee House followed by attending the play Judge and Jury. On the following day, November 13, 1849, he wrote about a husband and wife who were executed by public hanging. The couple had been convicted of murdering her lover and burying him under the floor of their kitchen. Melville estimated that the hanging was attended by 30,000 to 50,000 people, some of whom had staked out their viewing locations the day before. Many of the spectators were drunk and boisterous. “The mob was brutish,” Melville wrote. “All in all, a most wonderful, horrible, & unspeakable scene.” Also present in the crowd was novelist Charles Dickens, who that same day wrote a letter to The (London) Times arguing that public executions were inhumane. England outlawed the practice in 1868. While Melville continued his sightseeing with a tour of Western Europe, Captain Griswold brought the Southampton back to New York, arriving on January 9, 1850. On the return crossing the ship carried only 78 passengers, 18 in cabins and 60 in steerage. The low numbers possibly reflected concern about the hazards of a winter crossing. This was to be the Captain’s final voyage on the Southampton. Later that year, he took command of the newly launched Ocean Queen, and he was at sea again when Florence Griswold was born on Christmas day in 1850.